ESO Supernova Exhibition — How will the Universe end? 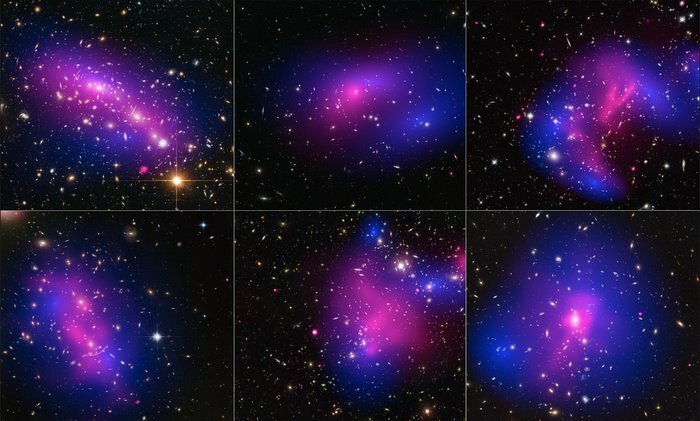 To learn how the Universe will end – either in a big chill, a big crunch or a big rip – astronomers need to understand the true nature of dark matter and – even more importantly – dark energy. Crunch time: In one scenario, cosmic expansion will stop and reverse in the very distant future, and the Universe will end in a big crunch – like a mirror image of the Big Bang. R.I.P. In an alternative scenario, dark energy will become ever more influential. Space itself will be torn apart in the distant future, leading to what cosmologists call the big rip. Power play: Big chill, big crunch or big rip – the future of the Universe depends on the properties of dark energy and whether or not it will be able to resist the attractive force of gravity. Dark energy is the mysterious cause of the accelerating expansion of the Universe. Its properties are unknown, so no one knows what will happen in the very distant future. If dark energy starts to decrease again, cosmic expansion may come to a halt and turn into a contraction. This will lead to a big crunch, from which a new universe might potentially form. If the expansion continues, the Universe will end in a big chill – cold, dark and empty. And if dark energy gets stronger over time, space and matter may ultimately be torn apart in a big rip. Mapping the unseen: From minute gravitational- lens distortions of the shapes of remote galaxies, astronomers can measure the distribution of dark matter (blue), leading to a better understanding of cosmic evolution. Cosmic fate: Right now, no one knows for sure how our Universe will end. In any case, nothing disastrous will happen for at least tens or even hundreds of billions of years. No one can look into the future. But for the Universe, there are just three possibilities: it may exist forever; space might be ripped apart; or everything could collapse in on itself. Which outcome do you like most?